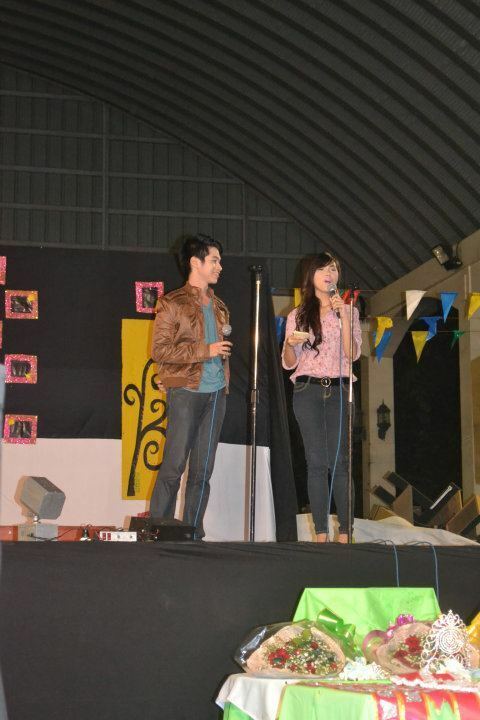 Still on the same day of the 10th year anniversary of the College of Tourism, Hotel and Travel Industry Management! 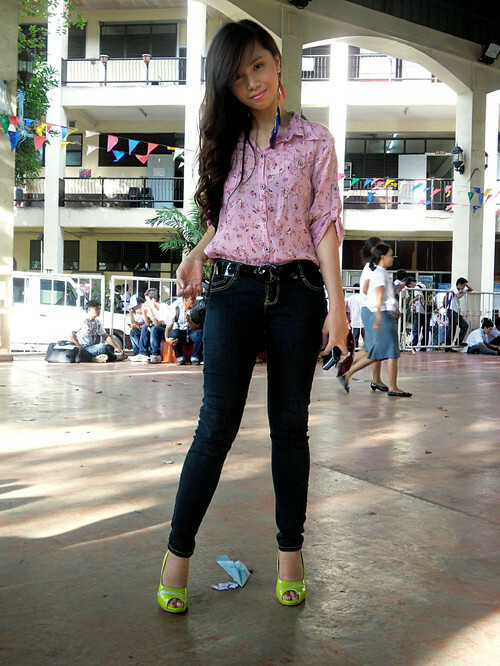 Last Friday was indeed jam-packed, I had no time to eat lunch because I had to run through a lot of errands. Anyway, it was all worth it! 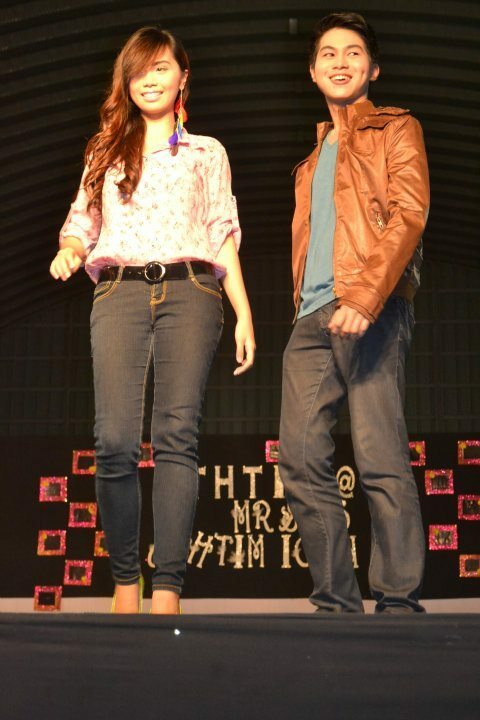 After being one of the judges for the CTHTIM Project Runway 2011, I hosted for the Mr. & Ms. CTHTIM Icon 2011 together with my dearest friend, Daniel del Mundo. 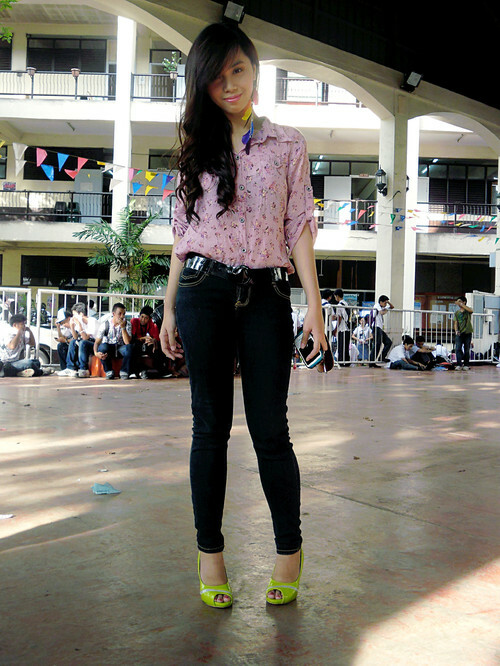 But before anything else, here's what I wore to the event. 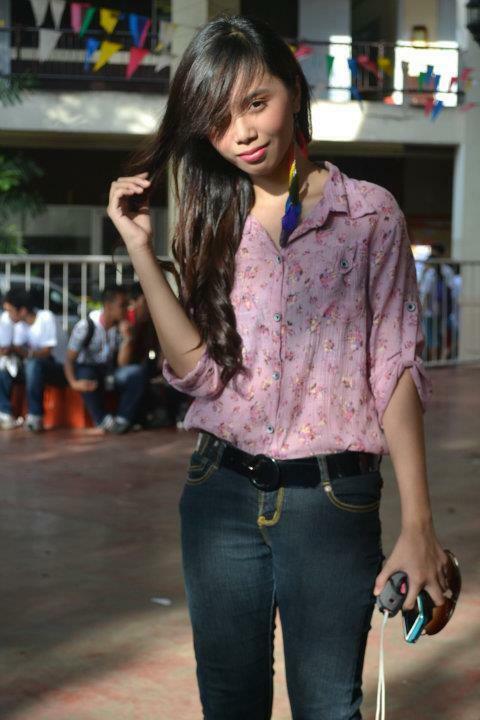 Photo credits again to my awesome friend (c) Kevin Joshua Reyes. You're amazing, dude! 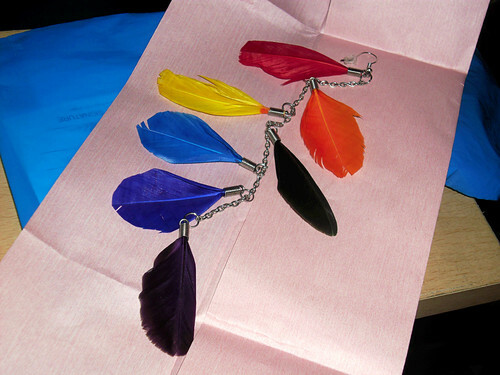 Here's a closer view to my feather earring when worn! I'm totally in love with this. Thank you so much, Maris, for this gorgeous earring!! I've got a lot of good comments about this. Love lots! Back to the pageant! Daniel and I weren't really prepared to be the hosts for the said event. We got informed only just an hour before the pageant, so we had no time to get glammed up. Very candid shot while doing the voice over before the production number! Daniel and I sampled a little ramp at the stage before welcoming the audience in the pageant. Wish we did better in hosting, though. Interviewing the candidates while tallying the scores! I love their confidence and wit in answering our random questions. Post-processing of these two photos above done by Daniel del Mundo. I love how we look so... vibrant! 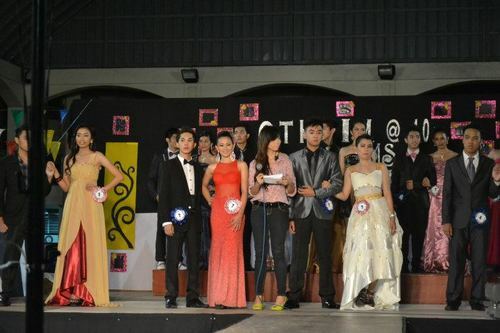 Congratulations to all the candidates for Mr. and Ms. CTHTIM Icon 2011! You were all stunning that night! 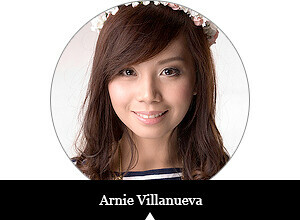 Just the fact that you were chosen to represent your respective blocks is already an honor and a privilege. Also keep in mind that experience is the best teacher.